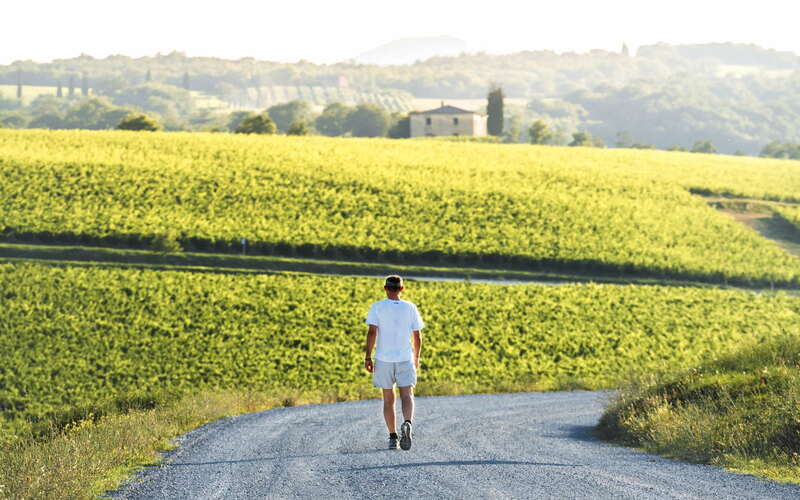 A walking tour, which will take you beyond the walls of the old town center of Montepulciano, in the surrounding countryside, where rows of vines stretch as far as your eye can see. During the tour, you will admire the beauty of the medieval village and the Temple of San Biagio from a unique panoramic perspective. A guide will accompany you along the dirt tracks, telling you the story of Montepulciano, its precious Vino Nobile, and many other curiosities related to cookery, traditions, events, film sets, and celebrities. You will walk to a wine producing agency, and after visiting it, learning the winemaking processes, you will taste the wines of Montepulciano. At the end of the tasting, return to the historic center by taxi.